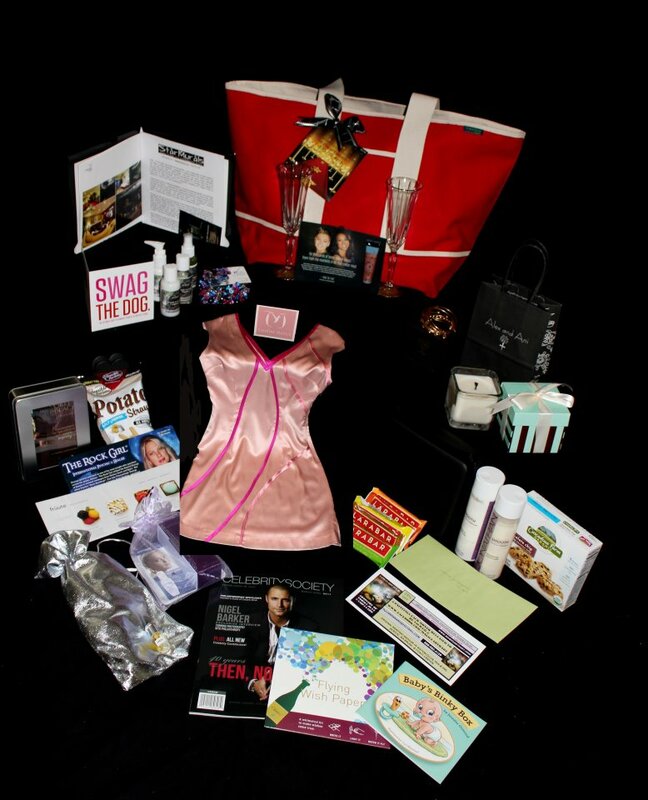 WHAT: Hollywood Baskets Awards Season Gift Bags. A product showcase and gifting opportunity for you and your company to gift the A-list celebrity nominees and presenters. Our celebrity turnout guarantees that your company product successfully end up in the hands of Hollywood’s A-list film and television stars, Golden Globe, SAG Awards, Grammy Awards and Oscar® nominees and presenters. WHEN: The schedule listing is as follows: Products are due 2 weeks prior to each event. Quantity: 32 products are required for all Four Seasons Giftings. Grammy Awards Nominee direct gifting which requires 45 items. WHO: Our past recipients include Oprah Winfrey, Glenn Close, Susan Sarandon, Sandra Bullock, Jennifer Hudson, Morgan Freeman, Jeff Bridges, Anne Hathaway, Ricky Gervais, Halle Berry, James Cameron, Natalie Portman, Mila Kunis, and more. THE MEDIA: Each event includes a PR opportunity for your company. In the past we have been featured on KTLA, Clear Channel Radio and other various publications and television shows. The gifting opportunity also includes a paid press release and social media marketing. Check out our 2012 Four Seasons VIP gift bags Emmy Awards! Taking part in the highly coveted gift bags given to the A-list nominees staying at The Four Seasons Hotel Beverly Hills is a high honor. Gift bags will be directly placed in the celebrities rooms awaiting their arrival. Past celebrities include: Morgn Freeman, Sandra Bullock, Anne Hathaway, Glenn Close, Jeff Bridges, Halle Berry, Jennifer Hudson, Hailee Stienfeld, Elizabeth Olsen, Michelle Williams, Judi Dench, Susan Sarandon, Colin Firth, Tiny Fey, Michael C. Hall, Stanley Tucci.